The direct-to-acetate recording isn’t anything particularly new, but the spin that Third Man puts on it is singularly their own. 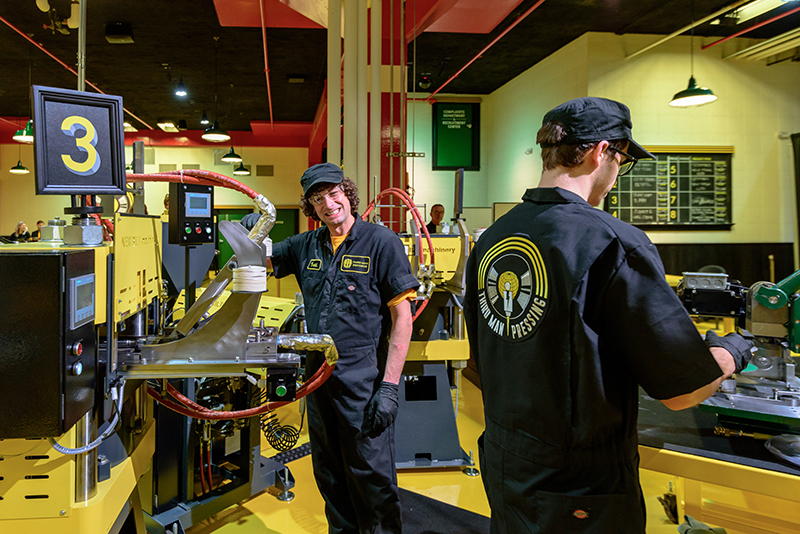 Most direct-to-acetate recordings are done in a studio, but Third Man have set it up so that when a band is playing a live show at their venue, they’re cutting the master vinyl at that very instant. “What you get in the process is: You don’t get any overdubs, you don’t get any re-dos, you can’t start and stop, you’re kind of flying without a safety net,” says Blackwell, “and there’s something of the moment about that, which keeps the artists engaged and keeps them pushing harder to make it a great record.” It’s a challenge that some seriously veteran bands are looking forward to taking on. “When you get bands like Mudhoney and Pearl Jam and Melvins, all of whom have been around near on 30 years, jumping at the opportunity to record this … they’ve all recorded numerous live albums,” says Blackwell. “The reason they’re jumping to do this is because it’s cool. It’s unique. It’s not something you can just do anywhere.” This is a label that is placing itself soundly within the vinyl-revival scene by taking on the medium in innovative ways. Blackwell himself never really left the vinyl scene. “This goes back to being a music fan when I was a teenager,” says Blackwell, “and realizing, being a fan of these bands, [that] if I wanted to hear the entirety of these bands’ back catalogue, I just had to be able to listen to vinyl. Everything wasn’t available on CD.” But necessity isn’t the driving force behind his love for the medium. “It’s just an extension of being a music fan,” he says. “Yes, I want it to be around. Yes, as someone who operates a record label, I know that when I’m buying vinyl, it’s the right thing to do. It’s one for the cause.” With the threat of the music industry going under because of the free availability of streaming music, vinyl is a way for anyone to help support independent artists. 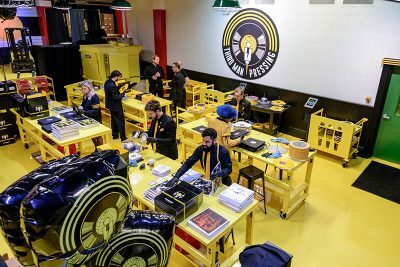 The way Third Man is trying to make sure that they don’t change is by making their vinyl pressing plant open to anyone. “We want to be available and accessible to everyone, but we want to try to make a focus toward independent and self-released artists, because those are the folks that, in our opinion, drive the industry,” says Blackwell. “They’re what keep everything cool and cutting-edge and new.” It’s an exciting time for Third Man, and it’s an exciting prospect for bands who may lie outside the mainstream and who now have some serious access to the world of mass vinyl release. Whatever direction White and Blackwell pursue with this project, it’s not hard to see the vision they’re seeing. What is hard is trying not to get excited about the prospect of artists liberating themselves from commercial restraints. 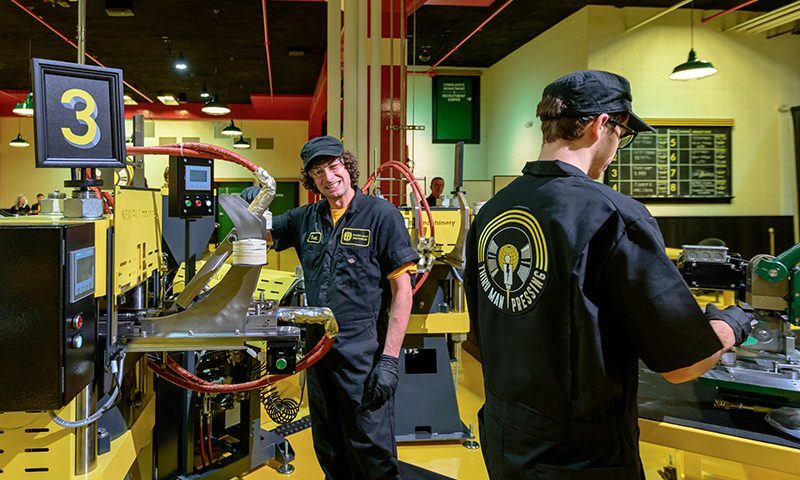 Visit thirdmanrecords.com for more information.